There is movement underfoot in Wyandotte County. Whether because of social media or some other media, there is a growing awareness that things aren’t quite right in the Dotte. People are unhappy and restless. A bill which increases our personal income tax passed in the legislature recently, the largest tax increase in Kansans’ history. Three of the four legislators who represent Wyandotte County, including Reps., Kathy Wolfe Moore (D), Tom Burroughs (D), and Sen. David Haley(D) voted in favor of the tax increase–Sen. Steve Fitzgerald (R) voted against it. Then there’s the ongoing broken promise from ALL City and county politicians that our property taxes will stop increasing year after year—because of the Woodlands, because of Sandstone Amphitheater, because of consolidation and annexation, because of the NASCAR track, because of the Legends, because of the state-owned casino…the list goes on. The promise remains broken. Wyandotte is the poorest county in the metropolitan area. It’s become a sick joke that our tiny county has one of the highest median property tax rates in the country. Median income doubles, on the other hand, just a few miles away in Johnson County. Makes a Dotte wonder what keeps going wrong over here. Every measurement of physical health reveals that residents in the Dotte are more likely to suffer from cancer, heart disease, stroke, and almost all other diseases, more often than anywhere else in the state. Wyandotte County has one of the highest infant mortality rates in the area and THE HIGHEST infant mortality rate for African American babies in the entire country. In happier news, Wyandotte County taxpayers now own a minor league baseball stadium. Also, because of the generosity of the Wyandotte County taxpayer, The T-Bones outstanding BPU bill is paid in full. In addition, because we own the T-Bones stadium, the UG touts the $246,000 we’ll save by not having to pay property taxes on the stadium. Wait, what? Sadly, for the UG administration/CEO anyway, taxpayers are starting to recognize the pretzel logic here. That is, while taxpayers will not be divvying up $246,000 to pay on behalf of a private business, we’ve lost $246,000 in tax revenue from a private business. Because it’s not private anymore. We own it. You see what they did there? More and more Dottes do see it, and it’s not okay. Supporters of this shysty land acquisition claim it’s a wash. Taxpayers are saving a ton of money because the property is tax exempt, they say. But it’s not a wash. We’ve lost money. Nearly a quarter of million bucks. Also, I wonder who pays for maintenance and facility upgrades at our stadium. Oh, that’s right…we do. Because we own it and like all property owned by anybody, it must be cared for and maintained and the grass cut and the broken stuff fixed. These things are not tended to by the magical UG Fairies. They are tended to by humans who are given a bi-monthly pay check which is funded with taxpayer money. My money. Your money. Where do we cut back in our own budgets so that we can afford these additional expenses? I’m willing to guess here that the average Dotte is tapped out—tax wise. Something is wrong in the Dotte. In fact, many things are wrong, but that’s nothing new. There is, however, an increased rancor coursing through the smallest county in the state. Residents are clamoring for answers. 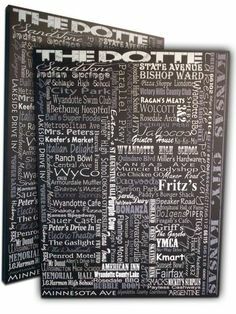 Upcoming county-wide elections offer a Dotte-Do-Over. From the head office—mayor/CEO, to sheriff, county commissioners and board members of the public utility (BPU), Dottes once again have an opportunity to try new leadership. In past elections, nothing much changed in the county. The same ole’ insider’s club generally remains in office, or plays a cool game of musical chairs, appointing and electing the entrenched and their in-laws and relatives. Will the upcoming election be any different? We’ll find out who the players are after the August 1 primary. 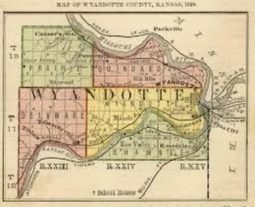 November 7, 2017, may reveal a very different Wyandotte County. Or not. History suggests the latter. BPU, Property Tax, T-Bones, Tax Abatement, Wyandotte County. Bookmark. The Unified Government has been a disaster for Edwardsville and Bonner Springs. The UG dumped KCK services into the county budget and then told KCK residents they lowered their taxes. AN example of this was the recent storm debris pick-up. County equipment and employees picked up storm debris in KCK, but refused to do anything in Edwardsville and Bonner. Calls to Hal Walker and Jim Walters yielded promises, but no action. In essence, we have a classic situation of taxation without representation. YES, WE HAVE BEEN IGNORED IN BONNER/EDWARDSVILLE.THAT IS WHY I AM RUNNING FOR THE 7TH DISTRICT. The only change citizens of Wyandotte County can look forward to is further increases in their taxes. NOTHING will improve as long as the CEO/Mayor (of the UG), the administrators at BPU, the county Sheriff and the commisioners of the UG board remain entrenched in those taxpayer-funded high-dollar/excessive benefits jobs …..
Those individuals don’t care if Wyandotte taxpayers are financially raped by mismanagement at the UG – all they care about is those county paychecks ….. The changes that needs to occur include – term limits, salary and overtime caps and the removal of the incumbents at the next election … That’s the only way the fiscally irresponsible UG administration will change from its current attitude of “tax citizens until they’re bankrupt” ….. There is only one candidate of the three running in the August 1 primary for county commissioner in District 7 that embraces the values spoken about being abandoned in this article. His name is Jim A. Gibson. I have noticed over the last three weeks his campaign signs have been torn down and/or run over with lawnmowers while signs for every other candidate have been left alone. That tells you that he is a threat to the current system that is continuously going unaccounted for and running rampant with our tax dollars. Jim A. Gibson is a family man and a regular every day Wyandotte County resident who cares about the issues he is running on for the people he is representing. Vote for Jim A. Gibson on August 1, he will be a strong voice to support and defend the rights of every Wyandotte County resident. He will actually show up to do his job as commissioner, unlike our current commissioner and he won’t be just another good old boy mouthpiece for the mayor and this runaway freight train known as the Unified Government like the other candidate – who I am sure will attempt to use these issues as a basis for why he is running, even though his history dictates that he is a member of that same club. I know for a fact that Jim A. Gibson is not running for special interests or or any kind of good old boy system. He is running for the people of this county that he so passionately represents and belongs to . For too long we have been electing people to talk a great game but then do not follow through on their empty promises. This time we have a true Wyandotte County resident that wants to help bring change and transparency to the local government here in the Dotte. I promise you that candidate is Jim A. Gibson. With so much going wrong in our county, there needs to be new leadership willing to actually make a change for the better. That is why I am running for District 7 of the UG Commission. Voter turnout on AUGUST 1ST is how we can make our voices heard and enact a change in our communities. I was very impressed with your presentation and ideas. Absolutely we have not been represented in Bonner and Edwardsville. There are too many puppets of Holland in council positions in Edwardsville and Bonner, what they allow, is what will continue. We need that idea of bring the services and savings promised, or quit picking our pockets. This article simply reflects the tip of the iceberg. The latest bamboozle of the UG (Holland) buying the T Bones to bail them out because they are going broke, and then giving the same person that was going broke, a sweetheart lease to run it. Almost every business could be successful if they had the UG buying them out, and tax payers footing the bills while the person leasing the business can just worry about their profit, how can you fail? I’m sure he will find a way, and need more money, what nest, maybe subsidizing the Beer Stand? Why does that make me think of Billy Beer? I don’t know now many bailouts Holland would be in favor of, I guess it depends on how many suites he gets, and how many venues his pet spokesman Bill Hurrelbrink can be an announcer. Maybe the question should be how much does Walters get from architectural work for the Legends, including Sporting? C’mon kiddos. who builds a Soccer stadium and leave out a parking lot? Same folks that build a Casino Lounge on the second floor and doesn’t put in a rest room? Not only has the UG failed all of us, but the people of Edwardsville and Bonner were sold Pig in a Polk. Now the same people that have been playing along, and going along, are making the claims they will fix things. Sorry, if you’re still making a profit from picking the pockets of tax payers, or you’re resume’ says you worked at BPU and now you’re gonna fix things, you are still playing on the ignorant, or uninformed. The tax payers can no longer pay for your play, the one thing they are paying, is attention to what has been going on, and they are fed up. It’s time we remember the wise words of Mark Twain, ” Politicians and diapers must be changed often, and for the same reason”. I decided to throw my hat in the ring to run for 5th District commissioner. My present day commissioner has been on the commission since 2005 and has done absolutely nothing to make our taxes or utility bills go down whatsoever. According to the chief financial officer at the UG, Wyandotte county collected over 25 million dollars in property taxes at the legends, where is that going? Get rid of all present day elected officials. Now they want to spend a total of 25 million dollars on Leavenworth road from 38th st to 63 rid street. They always try to justify wasting out tax dollars. If they want to do something for the residents, why don’t they lower our property taxes instead of wasting it . Just like marinovich gave the KANSAS SPEEDWAY 30 years of free property taxes . That should be criminal. I agree with the reporters observations regards the baseball stadium. Look at past involvements by the UG: the Hilton Garden Inn, downtown, which has lost money and required tax payer subsidy every year, and the original private sector investors get a guaranteed annual payout from the UG. In this respect, its much like the Power & Lights District in KCMO– the private sector investors gain cash every year through municipal government subsidies. The UG/BPU has long had a suite and free/ reduced prices tickets for their employees — what about the rest of us ? Another “investment” flop by the UG, was investing tax payer cash into the movie theater at The Legends. Another example was UG investment into the “motorcycle themed” restaurant at The Legends. UG spent a lot of tax payer money over paying for vintage bikes and memorabilia, which was later auctioned off at 10-25 cents on the dollar when the restaurant failed. AGAIN, the original private sector investors got their “consultant fees” and developer fees up front, and the UG ( thereby us taxpayers) got left assuming all the risk and eventually loss. 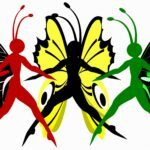 There are many many examples of the bragging and swaggering UG officials crowing about the “investments” of public money for the betterment of WyCo, but more often than not, the projects fail to meet up to the glossy predictions, and the WyCo taxpayers end subsidizing or absorbing a bankrupted enterprise. Absolutely, the only thing the UG is good at is picking losers that will cost us money in the end. Any real growth of business, is not because of the UG, it’s inspire of them. When you talk to business people, WYCO has the reputation of being the most difficult to deal with, and the necessity of having to pay to play just to get started.